Plantar fasciitis is a pain that affects the large band of tissues connecting the heel to the toes. Seeking Plantar Fasciitis Treatment in Los Angeles? 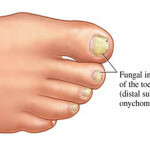 Dr. Kourosh, The Los Angeles podiatrist can help. Prolotherapy can speed up fracture healing time and post-surgical recovery. Plantar fasciitis injections can treat your painful symptoms. Plantar fasciitis typically manifests as a sharp pain in the arch of the foot, the bottom of your heel. Patients will describe plantar fasciitis pain as feeling almost like a slight bruise or an ache. For some people, it’s possible to endure the pain, and walk it off. However, in a lot of cases it’s necessary to seek treatment for their plantar fasciitis pain. In some cases, the plantar fasciitis pain can actually clear up on its own if you’re able to begin walking around on your foot. Typically when patients are unable to walk it off, because of extreme pain, then platelet rich plasma injections are required. For patients who are able to treat their plantar fasciitis with continued walking, there’s still a great chance that the pain in the arch of the foot may return. If this process of walking it off and rest don’t cure your plantar fasciitis then prolotherapy injections are required. Plantar fasciitis is an acute pain on the bottom of the heel that can cause great difficulty when walking. 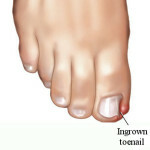 The pain is also known to occur towards the middle of the foot. Plantar fasciitis is a pain that develops gradually, and over time it can become a major nuisance even if it seems benign at first. In rare occurrences, plantar fasciitis can affects both feet at the same time, making it nearly impossible to get around easily or at all. In situations like these, seeking treatment for plantar fasciitis is highly recommended. Most patients will experience plantar fasciitis pain as a dull ache, but others who experience sharp pains typically end up seeking out prolotherapy injections as one method for plantar fasciitis treatment. It’s typical for the acute pain to be felt immediately after stopping an activity, and patients report only experiencing a slight discomfort during actual movement. Plantar fasciitis is known to be worst in the morning after getting out of bed, or after extended periods of relaxation just sitting down. Traveling up and down stairs can be next to impossible because of the extreme pain, and heel stiffness that can occur. Even patients who feel completely recovered from there plantar fasciitis pain will report sharp pains again after prolonged physical activity. This is because all of the motion will actually cause increased inflammation leading to a painful flare up. Platelet rich plasma injections, and prolotherapy injections, are excellent treatment methods for plantar fasciitis for many patients. 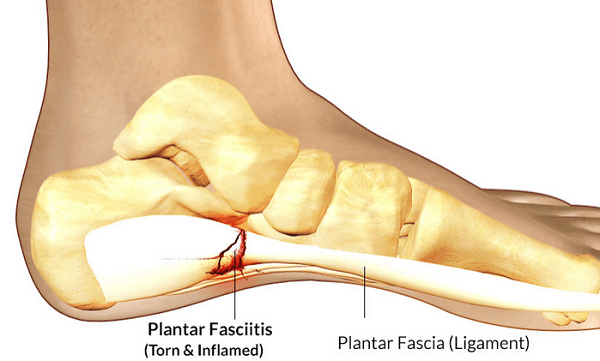 Why does plantar fasciitis hurt so bad? Plantar fasciitis hurts so bad because it’s inescapable. The pain in your heel or mid-foot compounded over time begins to take a toll on your pain tolerance. The best thing you can do is seek treatment for plantar fasciitis if the pain is becoming too much and it’s not clearing up on its own. How do you cure plantar fasciitis? Platelet rich plasma injections, or prolotherapy injections are both treatment options for plantar fasciitis. For some people, and In some cases, plantar fasciitis can be cured all on its own. If you’ve been dealing with the effects of plantar fasciitis for weeks though, then it’s highly recommended to seek prolotherapy injections or platelet rich plasma Injections for treatment. What happens if plantar fasciitis goes untreated? If plantar fasciitis is left untreated it may clear up on its own. However many times there are situations where it does not subside, and it can just cause unnecessary pain and discomfort until you’ve eventually treated it. Typically if the pain from plantar fasciitis begins to effect new areas of your feet, or you begin to experience pain in your knees, hips, and lower back then your plantar fasciitis is in fact getting worse. Plantar fasciitis can be remedied with the use of platelet rich plasma injections or prolotherapy injections. Dr. Kourosh can diagnose and decide what’s best for your plantar fasciitis pain. Like anything, it depends on the person who is experiencing plantar fasciitis. Walking can be good for plantar fasciitis, however you want to make sure that you’re doing it properly. You’ll want to reduce your walking speed and overall distance the moment you begin feeling any pain at all. It’s also important to take it easy at first too, so after walking, be sure to place an ice pack on your feet for at least 20 minutes. Doing so will reduce inflammation considerably. If you don’t have an ice pack available then freezing a water bottle, and rolling it along the bottom of your feet for 15 minutes can also be rather helpful. The Los Angeles foot doctor Dr. Kourosh can diagnose and treat your plantar fasciitis. Plantar fasciitis is extremely painful and can be completely debilitating leading to even more pain as you become more and more inactive. If you are living with plantar fasciitis in Los Angeles we will be able to treat your pain using prolotherapy injections, or platelet rich plasma injections. After the simple procedure, the pain should subside and you’ll be able to become active again. Take a moment now to schedule a plantar fasciitis treatment session in Los Angeles to remedy this pain now.